Forensic Science is harbinger of a new age in the field of detection, investigation and conviction. Human can lie, prepare itself, forget in the Court and can be absent from the Crime Scene but physical evidence is always present at crime scene, as a silent witness. Well qualified and properly trained scientists, with his knowledge and skills make this silent witness speak in the Court of Law. Forensic laboratories are crucial to our criminal justice system. Forensic Scientists provide invaluable Service / opinion in various disciplines that aids in the investigation and prosecution of crime through scientific examination of physical evidence. Their efforts, carried out to the highest standards of scientific objectivity, integrity and quality, give voice to the “silent witness” of physical evidence and contribute to the cause of justice. The criminal justice system increasingly relies on forensic science as new technology emerges at an ever accelerating rate. 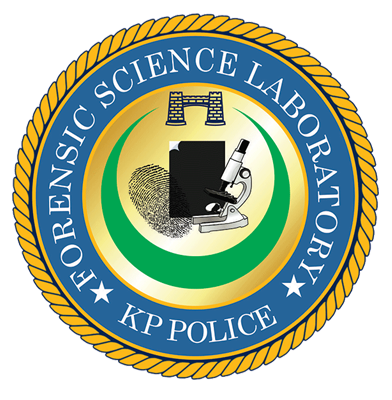 Forensic Science Laboratory Khyber Pakhtunkhwa, Peshawar was established in year 1976. Each unit is working separately under the command of Superintendent of Police (SP) with the designation of Director. During last few years, efforts are being made to reorganize and upgrade it into a modern, full-fledged Forensic Science Laboratory to cope with the requirements of the law enforcing agencies. FSL Peshawar provides services to KP Police, National Acountability Bureau (NAB), Anti Narcotics Force (ANF) Excise, Customs, FATA/ PATA and Azad Kashmir in all criminal and civil cases. The available resources of our forensic delivery system are under increasing strain as the demand for scientific evidence continues to grow. However this lab ensures to meets the needs of their clients in time. In 2014, UNDP's Strengthening Rule of Law in Malakand Project (SRLM) initiated support to the Regional Forensic Science Laboratory in Swat (RFSL) overseen by the Khyber Pakhtunkhwa Police in order to strengthen its crime investigation capacity. The police department provided a building while the project provided infrastructure, refurbishment, equipment and training support. The RFSL is providing Forensic support in 5 disciplines (Firearms and tool marks, Fingerprints, Questioned Documents, vehicle examination and Forensic Photography) for the region to conduct Forensic investigations. The project sponsored specialized training to highly qualified supervisors/ experts with M. Phil. Three Forensic Supervisors with MPhil Chemistry and Physics qualifications are trained in Firearms, Fingerprints and questioned Documents . The lab is operational Since January 2016.